The best commercial kitchens offer diners a selecton of the best premium artisan sausage in central Texas. Pork and beef sausages. Fresh and smoked sausages. Tastes of the Old World. American and New World Flavors. Get top local sausages in bulk from Waco Beef & Pork Processors. Award-winning sausages crafted by sausage-masters. Over 35 years of practice perfecting and developing our recipes. WB&PP: wholesale sausage suppliers serving the Waco, Texas area. Known for our German sausage and Czech-style sausage. Our sausage-masters trained with traditional European sausage-makers. It tastes authentic because we make it the same as they used to in the homeland. WB&PP offers same or next day refrigerated delivery to local businesses. Order in advance or at the last minute. Our refrigerated trucks deliver daily. Our wholesale hot dogs and sausages are proudly served at restuarants, groceries, special events, and BBQ joints throughout central Texas. Hickory-smoked sausages, seasoned and cured for ideal flavoring. Traditional recipes and techniques, with our own unique Texas twist. Top quality ingredients including best meat selection, authentic spices, and all-natural casings. Waco Beef & Pork Processing: Old World and American sausages for every table. Waco Beef & Pork Processing is prepared to meet the needs of local businesses. Best selection. Top value pricing. For regular bulk ordering or occasional need. The best selection and availability. Best value on high quality, every day. Top holiday gift and special event service. Waco B&PP: We care about your business. We care about our customers. Don’t see what you’re looking for? Just ask! We can place a special order for a batch of nearly any sausage recipe. Trained by European masters. Over 35 years of award-winning Old World sausage making experience. Polish Summer Sausage Cured, spicy, smoked pork and beef summer sausage. Czech Klobasa Smoked, all-pork sausage seasoned with caraway, salt, pepper, and garlic. 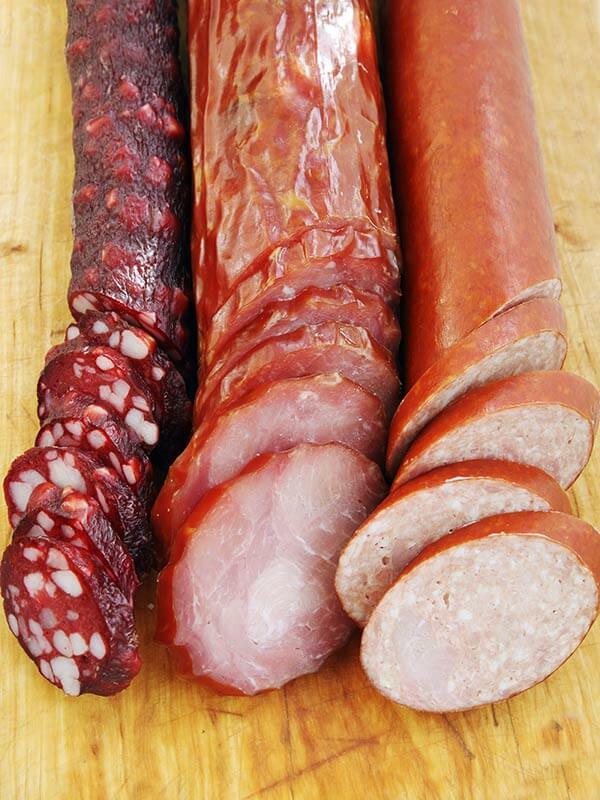 Slavic Sausages Smoked pork sausages in natural hog casings with classic Old World flavors. German Sausage Smoked beef sausage in hog casings, seasoned with salt, pepper, and garlic. 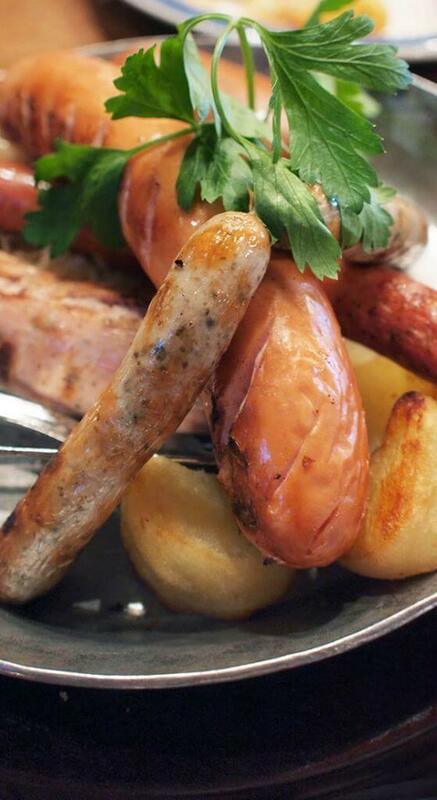 Enjoy authentic Bratwurst and Knackwurst. We also offer wholesale hot dogs – traditional German Frankfurters unlike anything else. Italian Sausage Smoked, sweet and spicy beef sausages flavored with fennel and anise. Sliced Italian sausages in bulk for party platters and appetizers. Waco Beef & Pork Processing offers any of our Old World sausages in bulk. Serve the top traditional ethnic artisan sausages in your kitchen, every day: Waco B&PP wholesale sausage suppliers. Crafting New World and American sausages for over a decade. Louisiana Cajun Sausage Double-smoked, finely ground, flavorfully spicy Andouille and Boudin sausages. Ask about special bulk orders of cajun sausage with seafood. Poultry Sausage Fresh, fine ground chicken sausage flavored with black pepper and sage. Hot Links & Cocktail Sausages Smoked and seasoned with pepper and paprika, American sausages of all sizes. Breakfast & Country Sausages American pork sausage patties and links flavored with pepper and sage. Ask about our low-fat turkey or chicken sausage alternatives. BBQ Sausages American pork grill sausages flavored with BBQ spices. Mexican & Latin American Chorizo Fresh pork sausage flavored with spicy, dried red pepper or paprika. Sausage on a Stick A fun, hands-free way to eat our top sausages. A great addition to any special occasion. Our Holy Smoked Sausages! are available in over 20 recipes. A range of smoked sausages crafted for lovers of Old World Sausage. 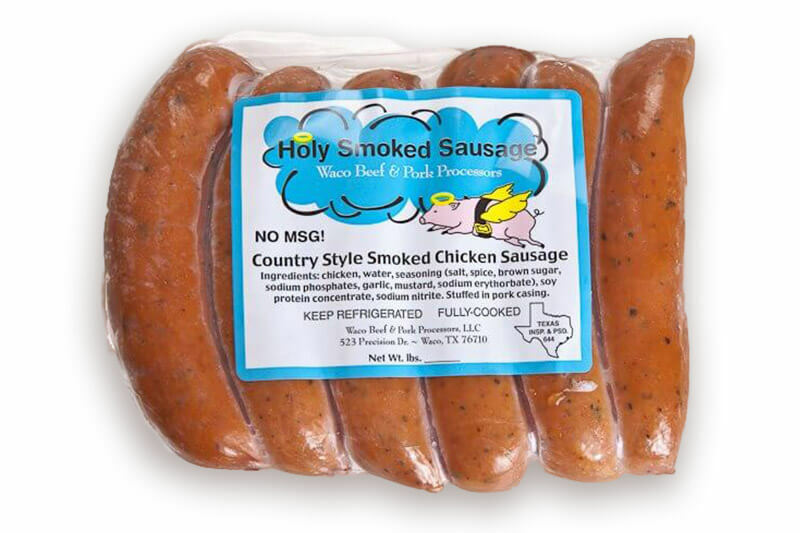 We offer wholesale pricing for bulk purchase of our Holy Smoked Sausage! brand, for individual resale in your grocery, deli, or convenience store. Ask our representative about refrigeration and storage requirements. 100% American ingredients. American made. American proud. Bulk pork sausage. Bulk beef sausage. Wholesale sausages for any commercial kichen’s needs. We believe that simple is better. That’s why we simply use the best cuts of meat. That’s why we use hickory wood for the cleanest smoky flavor. That’s why we keep our labels simple – with readable ingredients that you can clearly taste. USDA grade ingredients. Top industry procedures. State of the art processing equipment. Tastes like the Old World. Best modern techniques and standards. The unique kick that Texas flavors bring to sausages from around the world. 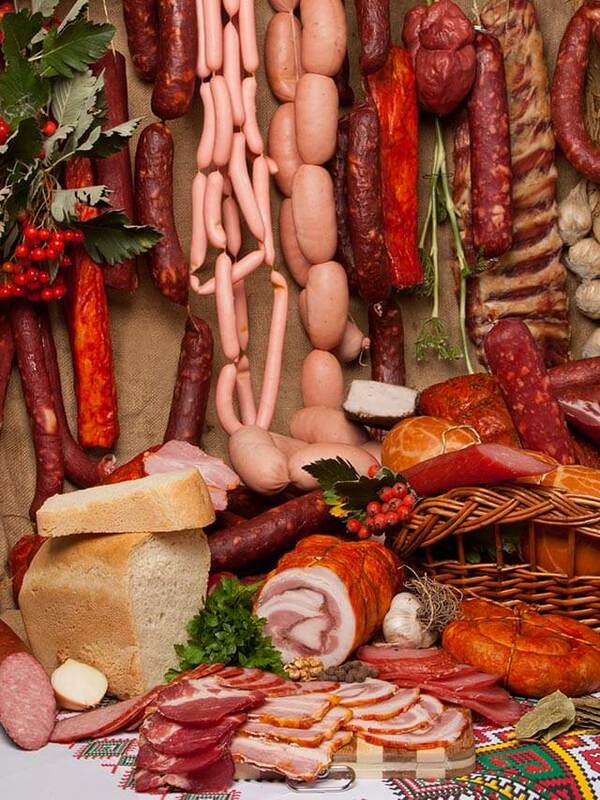 We bring all this, and more, to every bite of our specialty artisan sausages. We treat every order and customer individually. We believe that personal, individual service is the only way to treat our customers. For Barbeques. For Special Occasions. For Any Meal. For Top Chef Recipes. 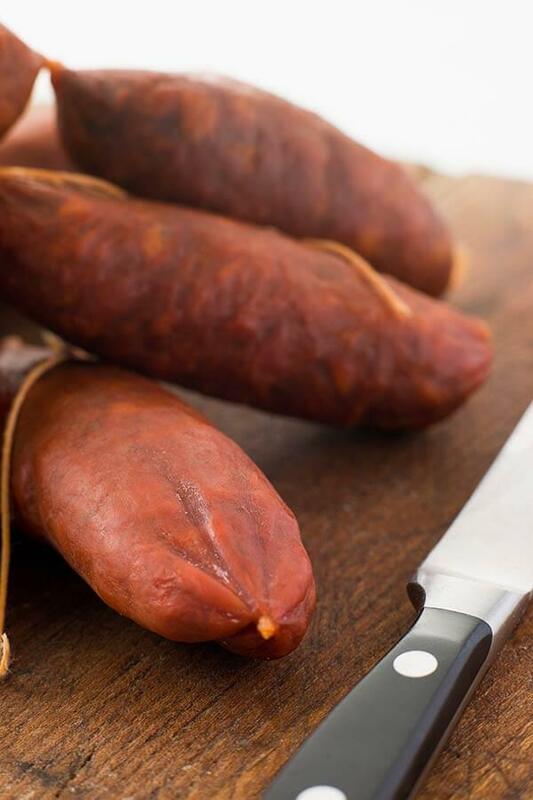 Waco Beef & Pork Processors: best wholesale sausage suppliers serving handmade, delicious sausage to top commercial kitchens throughout central Texas.